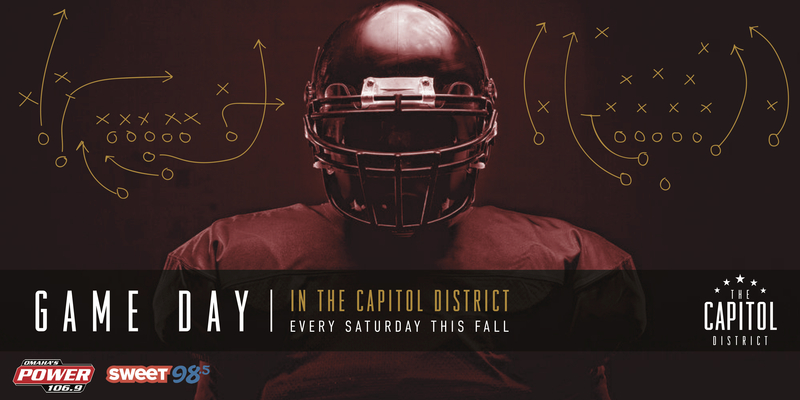 THE CAPITOL DISTRICT IS HOSTING THE HOTTEST PARTY EAST OF MEMORIAL STADIUM! Come hang out with us and Power1069 every Saturday this fall and enjoy college football played on our huge LED permanent outdoor screen all day long (yes, all Nebraska games will be played! ), LIVE Power1069 DJs, food and beverage specials from our #TheCapitolDistrict bars and restaurants, yard games, and the ultimate tailgate experience right here in Omaha, Nebraska! Annie’s Irish Pub will be featuring $3 Fireball shots and $3 Bud Lights after every Nebraska touchdown! These specials only last up to five minutes after the touchdown is scored. You won’t want to miss Saturdays in The Capitol District!